There is no better way to explore the expanse and magnitude of Yellowstone National Park than on a scenic drive. A never ending landscape where inspiring scenic routes traverse through a diverse terrain of alpine lakes, evergreen forests, majestic peaks and natural wonders. Steaming geysers reach for the skies, natural hot springs bubble in fury and wild animals roam free. Curving a figure eight through Yellowstone, the Grand Loop is a 142-mile long scenic route passing Yellowstone’s major attractions. Boardwalks and hiking trails lead you to the finest of Yellowstone. Admire the travertine terraces of Mammoth Hot Springs and view a stunning array of geysers in Norris Geyser Bain, home to the hottest, tallest and most active geysers in the world. Stop and stand in awe of Yellowstone’s most surreal site, the colorful Grand Prismatic Spring, a rainbow of vibrant colors. The loop then passes the world famous Old Faithful and continues on to Yellowstone Lake, one of the highest and largest lakes in North America. Take a break to follow the Mud Volcano Trail to more bubbling sites, then listen carefully for the sound of rushing water as you approach the blockbuster of Yellowstone, the captivating Grand Canyon, where tumbling waterfalls cut into the flame-red walls. A stunning site to behold. The Grand Loop Road connects along the way to one of the most scenic drives in America, the Beartooth Highway. The loop gets busy so allow four to seven hours, depending on traffic. The Beartooth Highway (US 212) has to be the most dramatic and breath-taking route through Yellowstone. An exhilarating and enchanting journey winding through the Absaroka-Beartooth Wilderness along the Montana and Wyoming border, crossing through the Gallatin, Custer and Shoshone National Forests. The Beartooth Pass, at an elevation of 11,000 feet, promises panoramic views of ponds, alpine lakes and rugged snow-capped peaks. Along the way is a fascinating carved pyramid that rises from the granite mountains, the scenic Beartooth Lake (perfect for a quick fishing or kayaking break), and the tiny historic Top of The World Store. Plan for 4.5 hours of driving time without stops. There’s no access from mid-October to late May, although the route is open to snowmobiles in the winter months. The scenic Chief Joseph Scenic Highway (US 296) meanders for 62 miles between Cody, Wyoming and the Beartooth Highway along the wild and scenic Clarks Fork of the Yellowstone River. Winding through the Shoshone National Forest, the highway climbs to a viewpoint at Dead Indian Pass. Stop here if you can, stretch your legs and hike the trail to the impressive granite gorge and waterfall. This route is maintained year round and requires one hour of driving time. The Buffalo Bill Scenic Byway (US 14) leads you for 27.5-miles through rugged canyons of alpine splendor from Cody, WY through the scenic Wapiti Valley and North Fork of the Shoshone River to the east entrance of Yellowstone. Lose yourself in this vast wilderness back dropped by the volcanic Absaroka Mountains and teeming with the best of Yellowstone’s wildlife. The crystal clear waters of Buffalo Bill Reservoir provide a great scenic spot to stop for a lunch break. Other points of interest along the way include Colter's Hell, Mummy Cave and Pahaska Tepee, all listed on the National Register of Historic Places. The Gallatin Valley Route (US 191) snakes through the valleys alongside the Gallatin River. You may recognize this tranquil scene from the film A River Runs Through It. This route, less crowded than the main park loops, dates back to the days when Lewis and Clark forged their way through the Madison and Gallatin mountain ranges. If you’ve ever wondered where to find the scenic spot from ‘A River Runs Through It”, this is it! A road less traveled but well worth it. Follow the path of the winding Yellowstone River on the Paradise Valley Route (US 89). Surrounded by the Gallatin and Absaroka Mountain Ranges, this route winds through Yankee Jim Canyon, a narrow gorge and Yellowstone’s finest white-water rafting spot. The alternative scenic East River Road takes you through broad valleys and tranquil ranchlands alongside the beautiful Yellowstone River. BEEHIVE MANAGEMENT welcomes you to the destination of natural wonders, the world’s first national park, Yellowstone National Park! 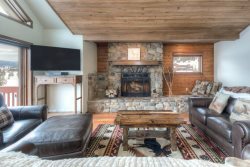 We offer the finest selection of Big Sky Vacation Rentals to ensure a special Yellowstone vacation, from ski-in/ski-out mountain village homes to luxury mountain cabins.